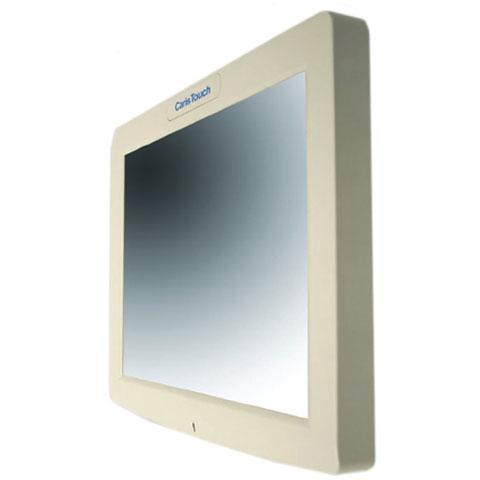 The CarisTouch is a state-of-the-art All-in-one touchscreen computer, designed specifically for the healthcare applications. Powered by Intel, its rugged design allows the CarisTouch to withstand the harsh and demanding healthcare environments. Every CarisTouch screen is built to protect against liquid sprays, and can withstand millions of touches. Its enclosure contains an anti-microbial additive to prevent the growth and spread of surface micro-organisms and bacteria. In order to help comply with HIPAA requirements, the CarisTouch is equipped to protect patients' personal and confidential information. Its innovative design allows a privacy screen filter to be embedded internally, allowing only the person standing in front of the screen to see the information, concealing views from other angles. By embedding the privacy filter, the CarisTouch eliminates the need to regularly clean the privacy filter from fingerprints and possible scratches. The CarisTouch is a versatile All-in-one. It can be configured as a diskless thin client, running applications off the server. It also has the processing power to run complex applications under Windows or Linux. With plenty of Serial and USB ports available, the CarisTouch allows seamless integration of many devices, such as badge reader, biometric reader, proximity reader, barcode scanner, and wireless network.